This week on Bigg Boss 11 was high on emotions and melodrama as family members and loved ones of the contestants paid them a visit inside the house. However, the saddest part of the task was that each of these contestants had to be in a freeze position until their loved ones were inside the house. While all the meetings were emotional and left us teary eyed, one of the most heart rending meetings in the house was that of Shilpa Shinde‘s mother who told the housemates that she was very happy seeing that her daughter was called ‘Maa’. However, she added that they must respect her new designation and not take it casually and abuse her. She was welcomed and greeted by all, other than Arshi Khan, but overall her visit to the Bigg Boss house ended on a happy and positive note. 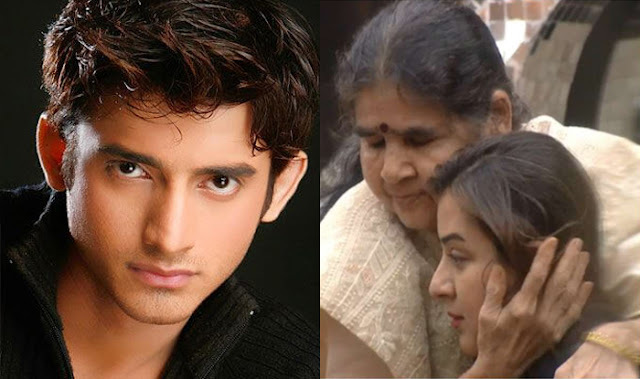 Post making a brief yet meaningful appearance on the show, Shilpa’s mother disclosed the real reason behind her daughter’s wedding being called off with her Maayka co-star, Romit Raj. At one point of time, Romit and Shilpa dated each other, and were even engaged. Their wedding, was slated to take place in Goa, but just two days before the big day the wedding was called off. In an interview with a leading portal, Shilpa’s mother revealed that when Romit had proposed to her, Shilpa had agreed to tie the knot with him as he was a fine gentleman. However, later with time, Shilpa realised that their thought processes and ideologies were very different. Moreover, the two would often get into tiffs due to a lot of difference of opinions between the two families, which led them to mutually and amicably decide to part ways and call off the wedding. Shilpa in an interview with India Today had opened up about the issue. She had said, “My wedding preparations were done, my wedding outfit was ready, I had even bought my jewellery and the cards were also printed. It is very sad that I had to call off my marriage. But I feel it is a wise decision and I am very happy that at least now I won’t have to make adjustments for each and every single thing. I will now be able to take my own decisions,” the actress had further added. Romit later went onto marry Tina Kakkar in 2010. Well, with Shilpa’s mom giving a statement on this issue, looks like it won’t be breached in the episodes to come. Meanwhile, Shilpa is one of the most loved contestants on the show. Is she one of the strongest contenders for the winning title? Well, seems like it but you never know as the show can get very unpredictable. Keep watching out this space for your daily dope on Bigg Boss 11.